DON’T WAIT TILL 2016 TO SECURE YOUR SPOT FOR FURTHER STUDIES, REGISTER AT BOSTON NOW! The reality for many aspiring students is that despite having done enough to qualify for university entry, there are simply not enough places available at tertiary institutions. It’s one thing to advise young people to follow their passion in their chosen future career paths, but another if you cannot apply for studies towards that career! Limited spaces mean that for example, at three of Gauteng’s leading institutions only one in four applications will be accepted. The good news is that applications for diplomas and degrees at Boston City Campus & Business College are still open until Friday the 13th of February, so those who have not made a decision on their studies, or haven’t been accepted at a university can still apply and register! “Boston would like to encourage all students to visit their nearest Boston support centre as soon as possible. Those who are still uncertain about what they want to study should complete our Career Compass Assessment, a computerised assessment tool that clarifies your interests, passions and skills and identifies which career paths are best suited for you. With the help of our career counsellors, you will be able to decide what course is best for you, and start your studies without any delay,” says Natalie Rabson, Marketing Manager at Boston. Boston maintains liaison with corporates in order to continue offering relevant courses that meet industry needs, and that are developed by industry specialists who are leading professionals in their fields. This degree equips students with the knowledge, skills, and values for career opportunities in the fields of business, management and marketing. The BCompt degree is specially geared towards students who wish to qualify as a Chartered Accountant. The LLB degree is specifically geared towards students who wish to qualify as an attorney or an advocate. It can be completed over a period of four years and the highly skilled Boston counsellors will assist you in structuring your curriculum. The BBA degree provides learners with a broad knowledge of Business Management and Administration. It allows students the unique opportunity to mix Commerce and Art Faculty subjects. The BBA can be completed over a period of three years full time. Part time students are encouraged to lengthen the time of their studies. This Diploma provides the necessary knowledge to make it in a career in the business sector, and should be considered by those who are self-employed or thinking of starting their own business, whether small or big. In recognition of the extent to which event management has evolved, Boston is now also offering a Diploma in Event Management. Business awareness, teamwork, creativity, project management and problem solving are all sharpened through the planning and delivery of events, and are key in terms of employability. This Event Management Diploma will help students develop these skills in themselves, and understand how they can be applied and transferred into any number of different sectors. Boston boasts one of the finest tuition centres in South Africa for students wishing to complete their CTA (Certificate in the Theory of Accounting) through UNISA. These lectures are presented by the highly qualified and experienced CA Academy lecturers at the Pretoria Arcadia and Sandton campuses. Besides the Boston degrees and diplomas, various other courses are open for registration throughout the year. These courses include: skills-based courses and occupational programmes such as assistant bookkeeper, credit controller, media consultant, call centre operator and sports management – for these you can register throughout the year. 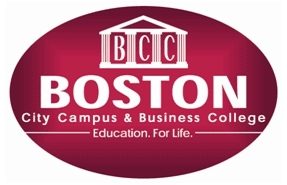 For more information on all the Boston courses, diplomas and degrees please visit http://www.boston.co.za.